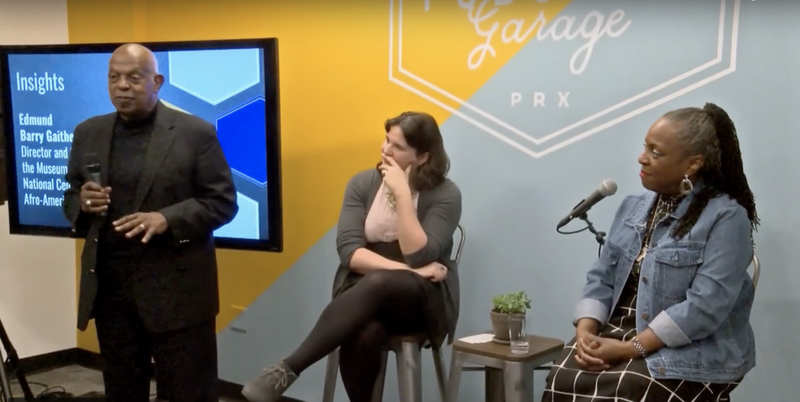 On January 23, 2018, I, on behalf of The Lonely Palette, had the privilege of participating in this incredible event at the PRX Podcast Garage: "Keepers of the Culture: A Celebration Of Maduna And Holmes." The evening was a celebration of two award-winning artists, collaborators, and friends: Vusumuzi “Vuzi” Maduna and Ekua Holmes; a joint exhibit of Vuzi and Ekua’s works are currently on display at the PRX Podcast Garage. Their sculptures, masks, and collage-based works are an exploration of ancestral voices, family histories, and the power of hope, faith and self-determination. The evening was divided into two parts: a conversation between Ekua and me, by way of audio I produced, Lonely Palette-stylz, of members of the Podcast Garage describing her work, and diving headfirst into interpretation and storytelling - as applicable to art as it is to podcasting. The second part was a powerful lecture by art historian Barry Gaither, on Vuzi's work, Ekua's work, and the myriad roles artists and viewers have the joy and the responsibility of playing for and with one another. 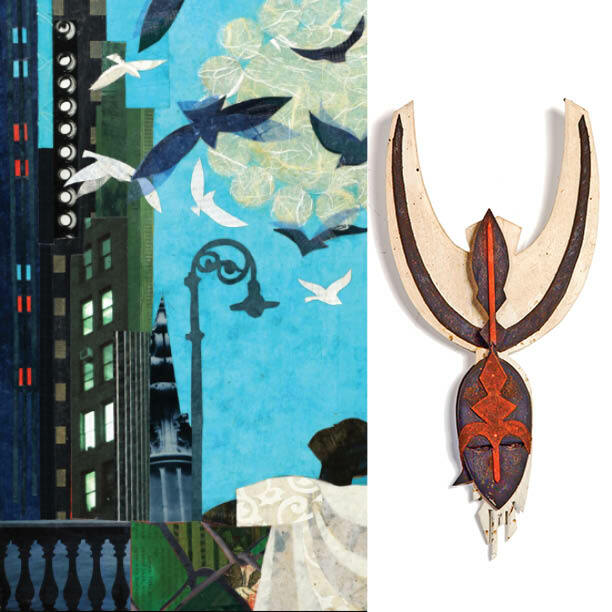 Ekua Holmes is a painter and collage artist who uses news clippings, photographs, vibrant color, and skillful composition to infuse her work with energy. Her layered, abstract creations convey a sense of unity and evoke memories that are both personal and universal. In her collages, she revisits the joy and challenges of childhood through adult eyes. These works reexamine the foundational relationships, games, and rule that we learn at an early age and apply throughout our lives. Vuzi Maduna (1940 - 2007) was a sculptor and painter who spent much of his life as an artist resident of the Gallery at the Piano Factory in Boston. Maduna began his exploration of African culture with a study of African religions which led him to further examine and interpret the traditional embodiment of belief and myth. Educated at the School of the Museum of Fine Arts, Boston, he was a member of the African American Master Artists in Residency Program of Northeastern University. His work has been exhibited in the MFA and the ICA, as well as in Tokyo and the People’s Republic of China. Yet Maduna returned to the neighborhoods of his childhood to create pieces that remind us of the African heritage that many in the community share. His public installations are located in Cambridge (the Margaret Fuller House, the Cambridge Community Center, The King School) and in the Boston area, including The Judge, in Roxbury. Special thanks to Kerri Hoffman and PRX, Alex Braunstein and the PRX Podcast Garage, Gina James, and WGBH.